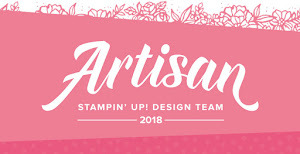 It's the final sneak peek Saturday - which means the new catalogue from Stampin' Up! is nearly live !! Welcome to today's project. 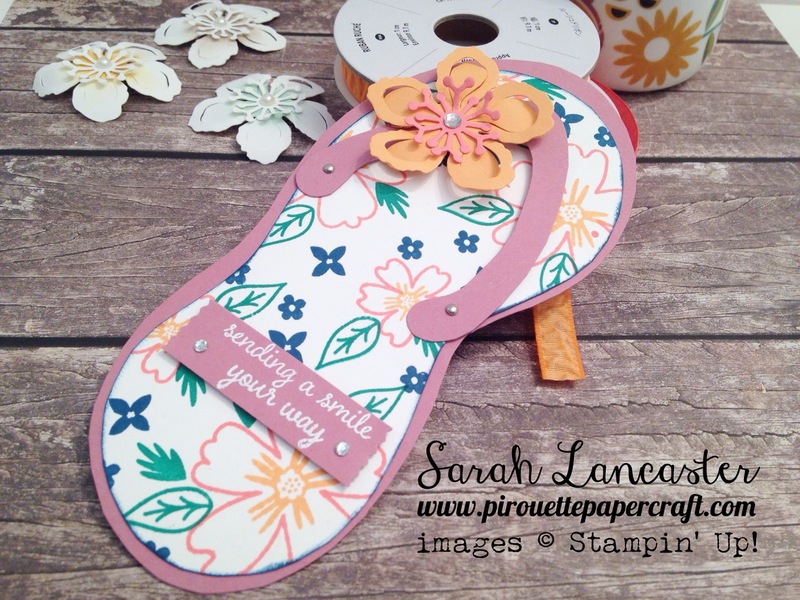 I created some fun flip flops for my swaps when attending the OnStage event in Paris recently and decided to recreate them using the new Love & Affection stamp set. I have a full video tutorial for you too. I am so glad that the Botanical Builder framelit dies are being carried forward into the new catalogue as well. If you want to benefit from the 15% reduction when purchasing them with the stamp set you need to quick because they will no longer be bundled together in the new catalogue. Great card for the summer. How did you create your flip flop template? Please share your flip flop template. These are so cute!! Thank you Sarah! I can't wait to make one. Thanks so much for sharing the video and template! Is this an A-2 card size? What a fun summer card! I cut out two of the larger card stock piecesand attached them with a brad at the top of the strap. Then you can slide them apart and put a sentiment on the inside piece. Thank you for such a cute idea.